He started out with the violin and moved on to the clarinet. Rod later became interested in the saxophone after hearing Grover Washington Jr.’s “Mr. Magic” which he used as his audition piece to get into Arts High School in Newark, NJ. 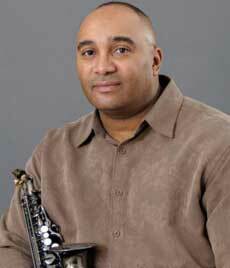 Rod is a talented musician who’s diverse style includes a blend of R&B, Smooth Jazz, Classic Soul, Old School and New. Rod has been making a name for himself while playing at various local venues such as “Chico’s House of Jazz”, events throughout the state of NJ and local Jazz Festivals. Rod has performed as a guest at the Red Cat Jazz Cafe pre celebration party jazzfest along with such artists as saxophonists Dean James,Kyle Turner, Marion Meadows, keyboardists Darrell Lavigne,Bobby Lyle, trumpet player,Joey Sommerville, and Ronnie Laws in Houston, Texas in October of 2011 . December 2011, he took to the stage with Bob Baldwin at “Chico’s House of Jazz along side of Darrell Lavigne and Kyle Turner. He recently headlined at the Asbury Park, New Jersey jazz festival in June of 2012. His CD “The Journey” and Hands Down will be available through amazon and itunes.